This is a “best of the month” list for this month, but making the title “Best of May 2015” sounds like giving too much of a spotlight for such a short span of time, and devaluating the word “Best of” somewhat, in my opinion. Therefore I chose a title to reflect reality more clearly: these are the only albums we heard of on this website this month that were decent enough to not be considered utter disgraces to the metal genre (those were in the SMRs or were ignored). The “decent” are those that show consistency in style, coherence, a direction and a clear artistic voice and goals. The “rescuable” are those that are still confused in their composition — unclear, or that seemed to be impeded from development by their own approach to music-making (or that of their own genre). Ripping, furious death metal in the vein of 1980s death metal with vestiges of speed metal, solos that bear the mark of Trey Azagthoth, this band is one of the many followers of the legendary Morbid Angel. However, Blasphemic Cruelty is not content with being a clone and continues the work of Angelcorpse by playing a style that takes one facet of Morbid Angel and expanding on it. It is basically the older band’s most brutal side taken as the parting point and center of the music. 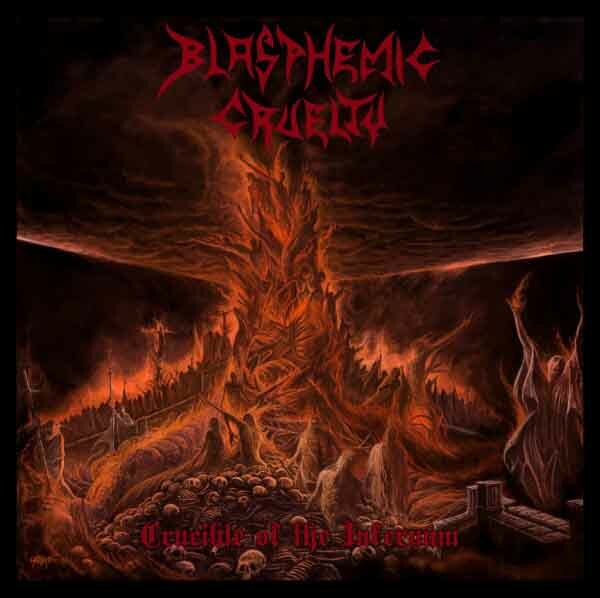 While Azagthoth would mix a few fast sections with his own trademark of mid-paced and slow riffs, Blasphemic Cruelty pushes the pedal to the max throughout the entire pieces. While Crucible of the Infernum will not distinguish itself as innovative in any way, it is an example of excellent composition for this style of ripping, blasting death metal. The band’s work here is ideal in the sense that within the limitations it sets for itself, every single space it uses is purposeful by virtue of its integration within the big picture, even if this picture isn’t very big. Admittedly a work of modest reach, Crucible of the Infernum is a solid release strongly recommended for fans of Angelcorpse, Sodom and early Morbid Angel. 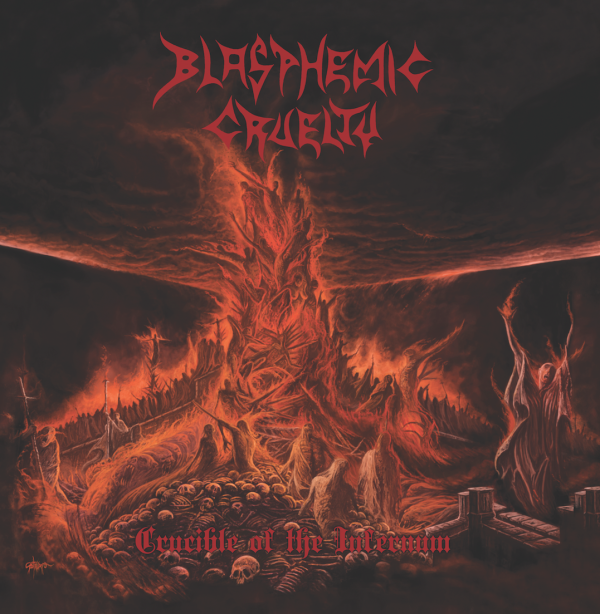 At long last, Blasphemic Cruelty return from the dead with a new mini album, Crucible of the Infernum, set for international release on July 20th on both CD and vinyl formats. Seven long years after their debut album for Osmose, Devil’s Mayhem. Led by six-string assassin Gene Palubicki (Perdition Temple, ex-Angelcorpse), this power-trio remain committed to deathrash rooted in the 1980s but loaded up with modern arsenal. Check out the first promo track on their facebook upload. 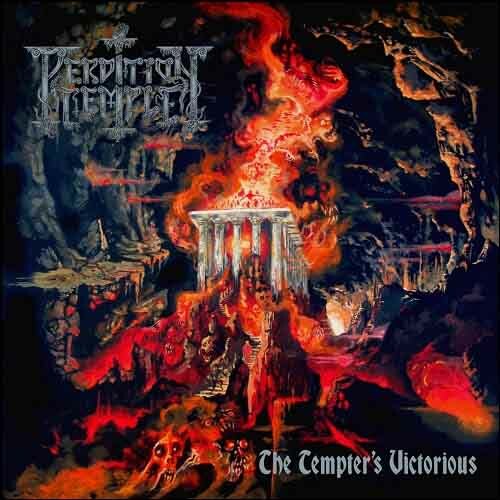 Perdition Temple, a band composed of Angelcorpse and Immolation members, will release its second album The Tempter’s Victorious on Hells Headbangers Records on March 24, 2015. 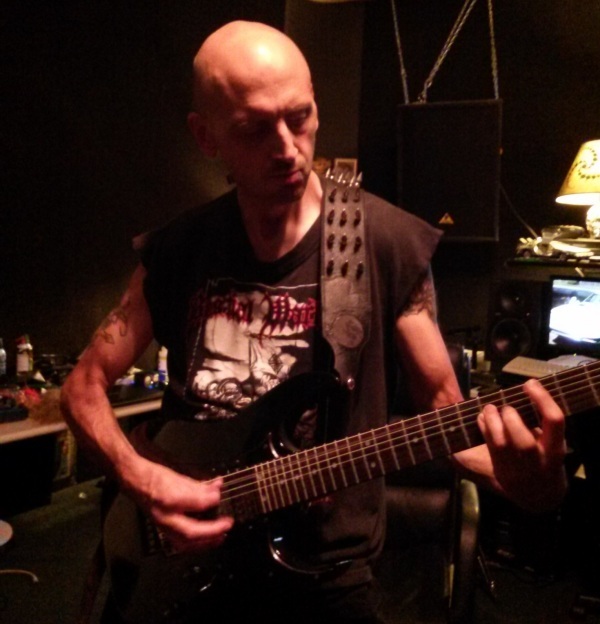 The album shows the band refining their militant high speed slamming phrasal riffing in a style of death metal similar to Vader and Fallen Christ. In many ways the underground’s response to the technical metalcore currently in vogue in the above-ground “underground,” Perdition Temple crafts songs from high speed strumming and extensive fills. 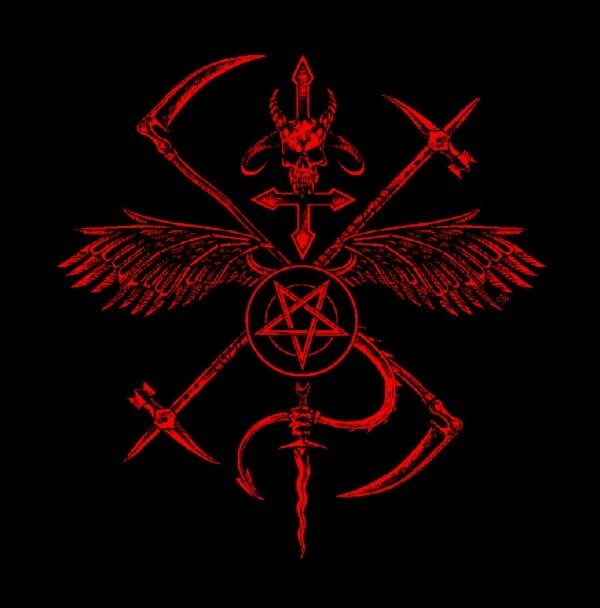 On the new album, the band intensifies this approach and adds chaotic lead guitars which give it an oddly occult flair. Simultaneously Perdition Temple announced that the band is slated to play Hells Headbangers’ forthcoming Hells Headbash 2 label anniversary festival on September 4-6 in Cleveland, Ohio (USA). The band will join other such Hells Headbangers-affiliated bands as Profanatica, Archgoat, Deceased, and Cianide. Former Angelcorpse guitarist Gene Palubicki and his band Blasphemic Cruelty have announced the cover for their upcoming mini-album Crucible of the Infernum to be released on Hells Headbangers in early 2015. Perdition Temple emerged from the ashes of Angelcorpse when guitarist Gene Palubicki established a new act to make the high-speed, texturally-encoded complex riff frenzy that made Angelcorpse so distinctive among the later death metal bands. Anticipating its upcoming album The Tempter’s Victorious, Perdition Temple today released a teaser video for the title track “The Tempter’s Victorious.” The band’s first album for new label home Hells Headbangers, The Tempter’s Victorious unleashed eight new tracks and cover art by Adam Burke. 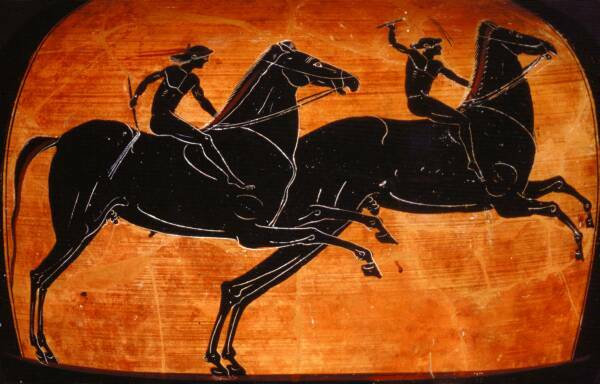 You can listen to the audio below. For more information, view the Perdition Temple faceplant page.